TORONTO – In recognition of his status as one of Canada’s leading experts on Internet security and business development, Robert Herjavec has been selected to participate in the federal government’s initiative in developing Canada’s Open Government Action Plan. He will join other prominent Canadians comprising the federal government’s Advisory Panel on Open Government. The Advisory Panel will be chaired by Treasury Board President the Honourable Tony Clement. The panel’s mandate includes finding ways to improve the delivery of open data and information to citizens, and exploring effective means of employing Open Government policies to maximize knowledge sharing and innovation. Among the measures considered for accomplishing this goal is the effective use of social media and other innovative communication tools. 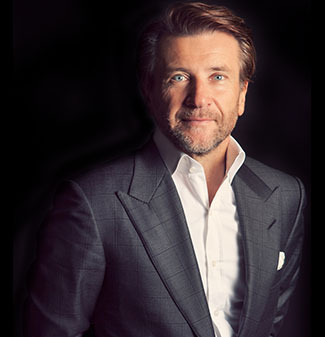 As a pioneer in the application and integration of communication technology, Robert Herjavec is expected to make major contributions to the panel’s role. He has founded and sold several companies linked to computer system security and other operations, including Herjavec Group, consistently rated as one of Canada’s fastest growing IT security and infrastructure integration firms. Herjavec Group, with annual sales approaching $100 million, employs almost 150 people in major cities throughout Canada. In addition to founding and serving as President and CEO of Herjavec Group, Robert is a prominent presence on network television across North America. His appearances on the CBC-TV show Dragons’ Den earned him extensive recognition and appreciation for his articulate and respectful manner among Canadians. He is achieving similar status with U.S. viewers thanks to his presence on the hit ABC-TV network show Shark Tank. His book Driven: How to Succeed in Business and in Life, published by HarperCollins, has sat atop best-selling lists since its publication in September 2010.